If you're looking for a path for your garden or walkways for commercial or retail premises, Pattern Imprinted Concrete (PIC) installed by Northern Cobblestone could be the solution for you. 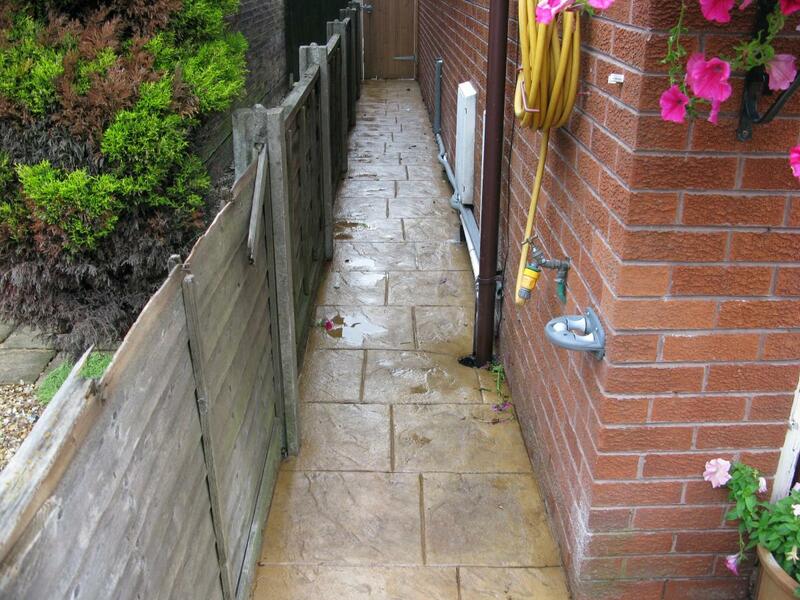 Tarmac pathways covered in moss or sunken block paving which is overgrown with weeds can make your garden or grounds look unkempt and disused. 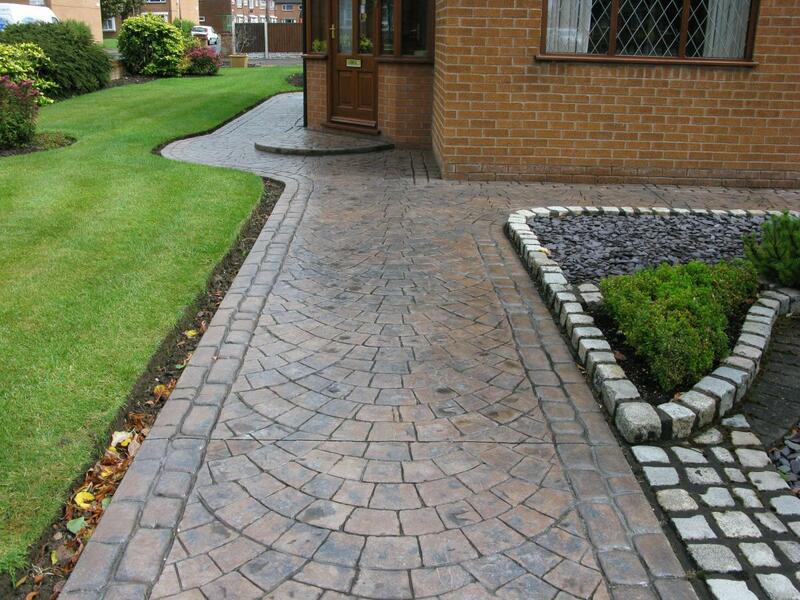 By contrast, beautiful weed-free PIC pathways styled to look like cobblestone, slate or coloured brick can add value to and perfectly complement your property. No Weeds - Tarmac attracts moss and quickly looks cheap and untidy, whilst the gaps within block paving and indian stone attract moss and weeds, requiring regular treatment. With nowhere for weeds to get a foothold, PIC can be kept weed free with just a simple brush and / or wash with a hose pipe or pressure washer. Low Maintenance - As above, PIC is ideal for residential properties leaving the owner with more free time and perfect for business premises as it offers lower ongoing overheads than other solutions. Incredibly Versatile - Let your imagination run wild with sweeping curves, encircled flower beds, steps, disabled ramps, split levels, slopes and cobbled or different coloured edges. Any shape or size can be achieved in a mix of colours and patterns. Wherever there's space to walk comfortably, there's space to lay a path. Added Style / Features - Add a touch of class with embedded LED uplighting or safety with the addition of handrails. PIC can accomodate such features easily. 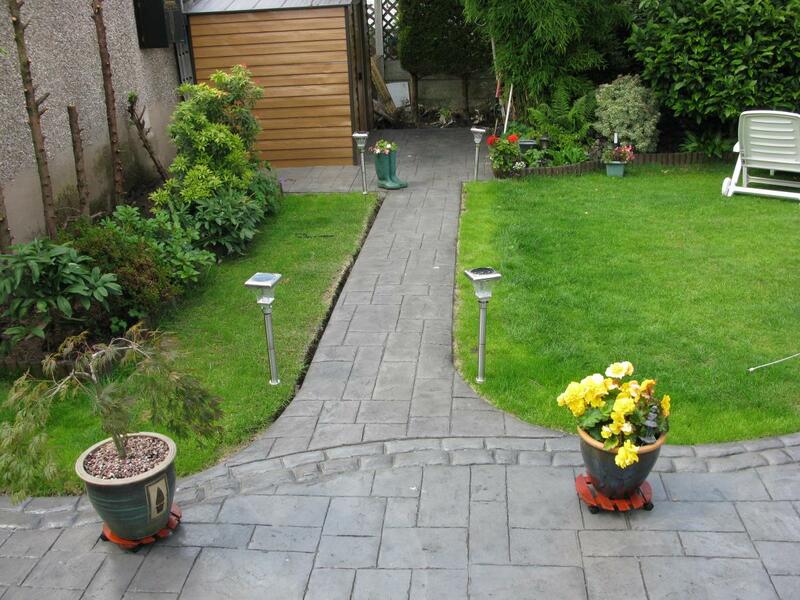 For examples of our pattern imprinted concrete Paths, have a look through our Photo Gallery. References from previous customers are also available on our Testimonials page. 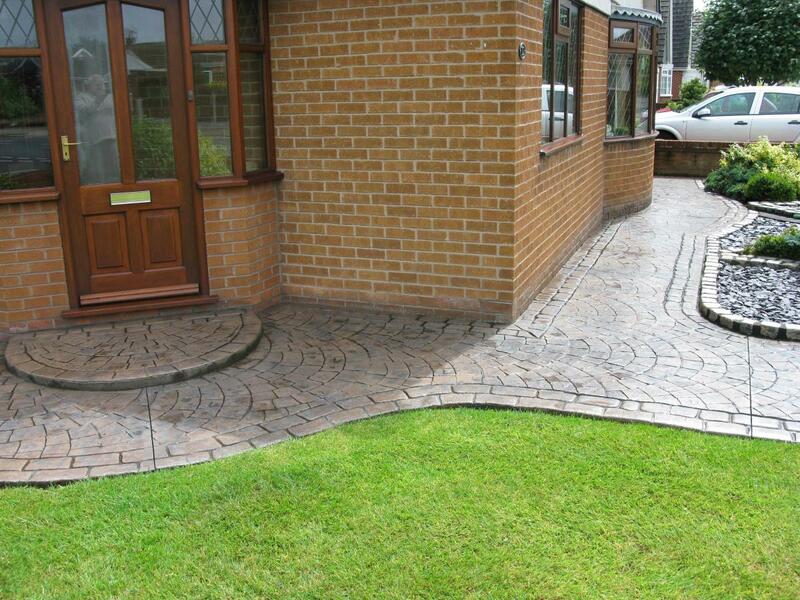 Our pattern imprinted concrete Paths are supplied in a wealth of colours, patterns and styles all of which can be mixed and matched to create a totally unique solution for your property or business premises. If there's any other work you're considering as part of your Path project, please let us know and we'll provide you with a quotation if we can.